Fleece shorts with pockets. 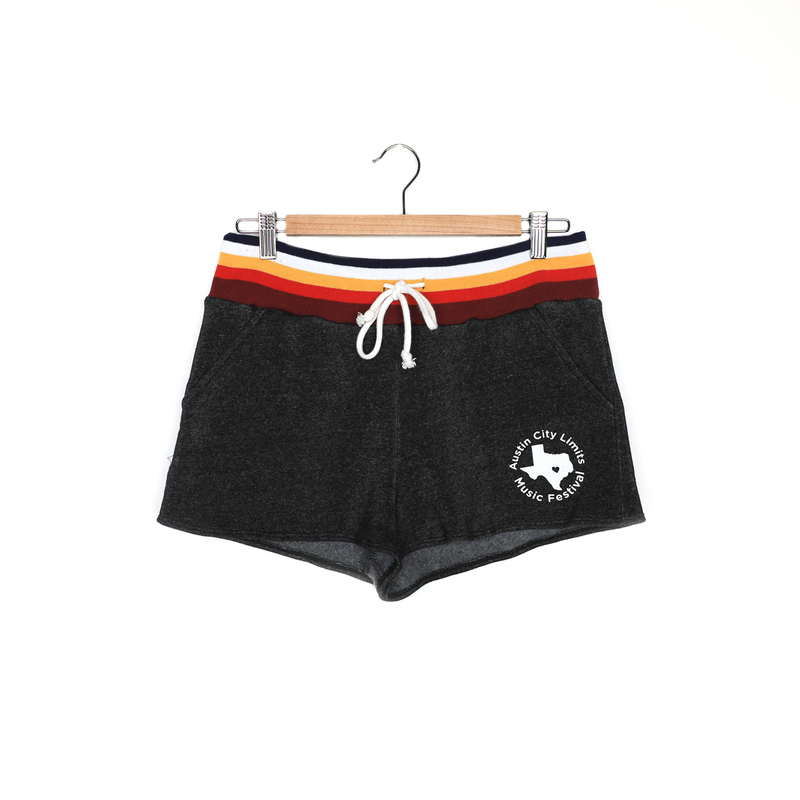 Rainbow varsity rib waistband with adjustable drawstring tie. Front graphic: Austin City Limits Music Festival. XSmall 28" 1.5" 12" 11"
Small 30" 1.5" 12" 11.5"
Medium 32" 1.5" 12.5" 12"
Large 34" 1.5" 12.5" 12.5"
XLarge 36" 1.5" 13" 13"